Hi! 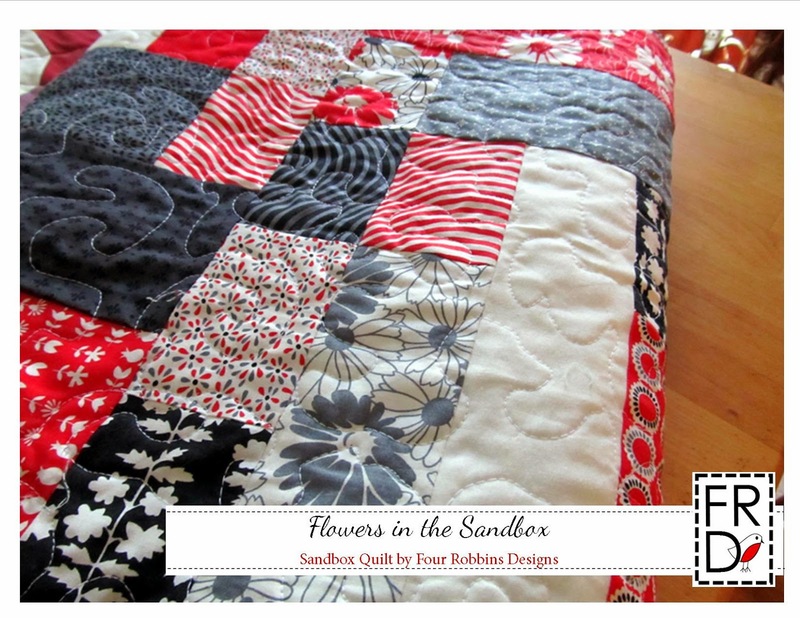 I’m Krista of Four Robbins Designs and I blog over at Sew What’s Cooking? I’m so excited to be sharing my first Moda Bake Shop project with you. 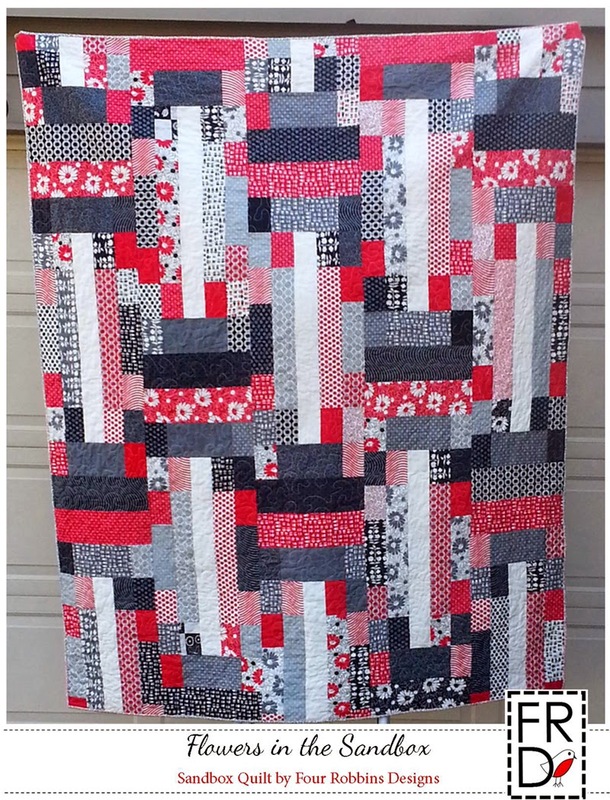 This is a fun, quick quilt using the beautiful Weeds collection by Me & My Sister Designs. 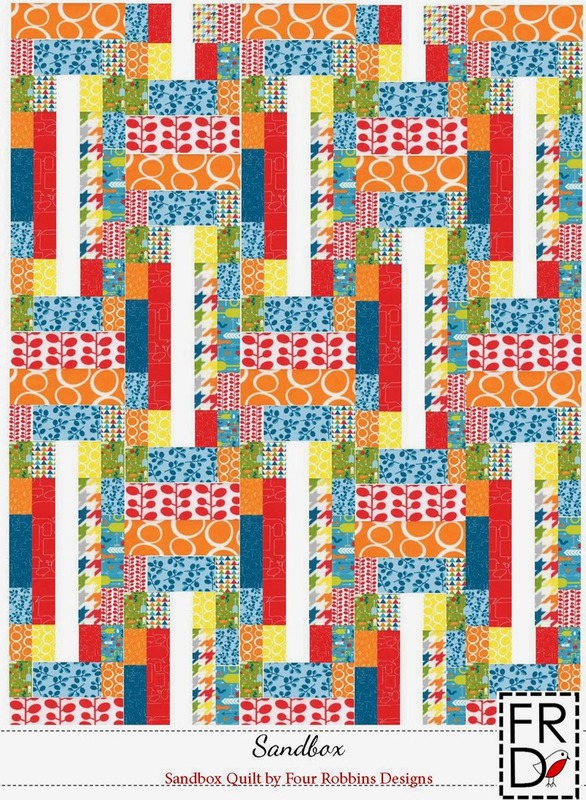 My first design used Mixed Bag and it looked so fun I named it Sandbox. So this one is titled “Flowers in Sandbox”. I hope you like it! Use 1/4 seams through out. 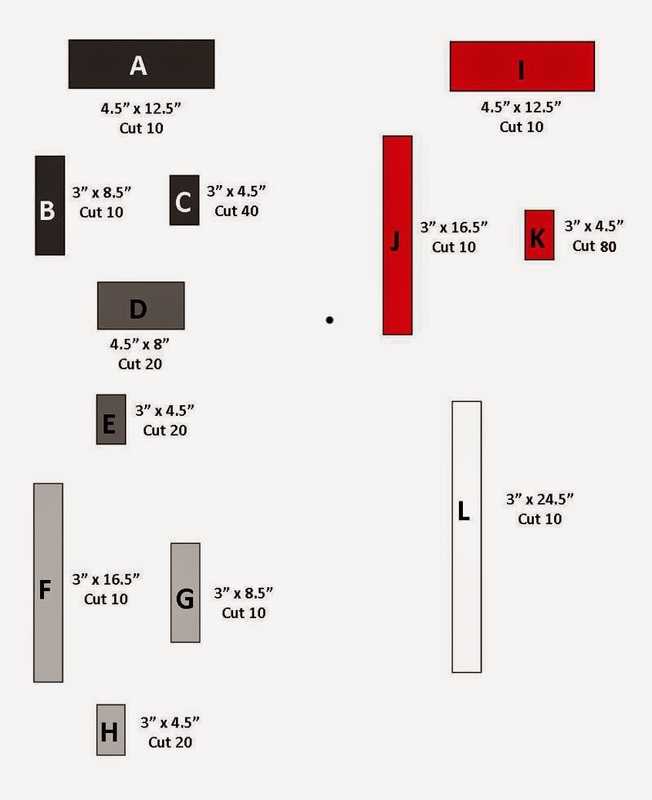 Be sure to cut largest pieces first and smallest last to insure you get all the pieces you need from your fat quarters. 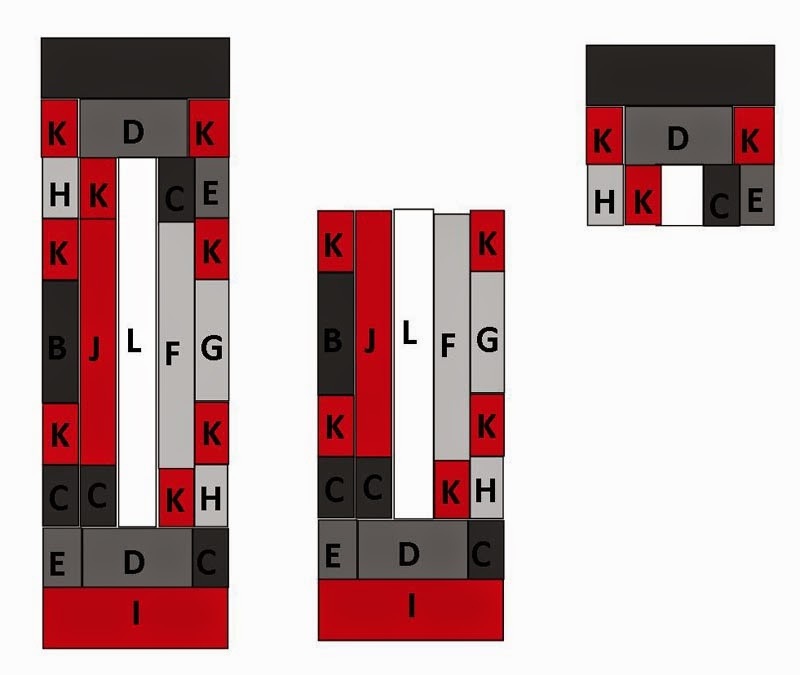 Following the placement below, you will need to make 10 blocks. Step Two: Assemble center piece. Step Four: Cut three of the blocks as shown below. Step Five: Lay out blocks as shown below. 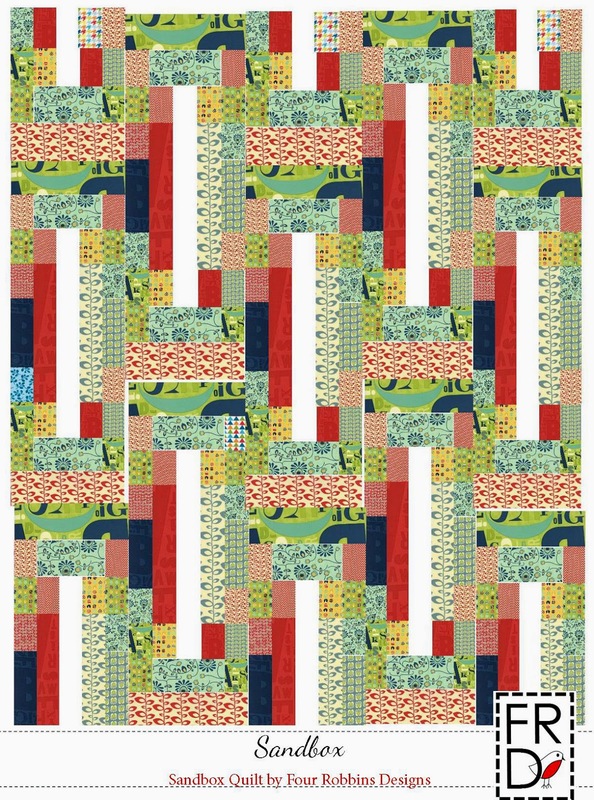 Assemble by columns and then sew columns together to finish top. 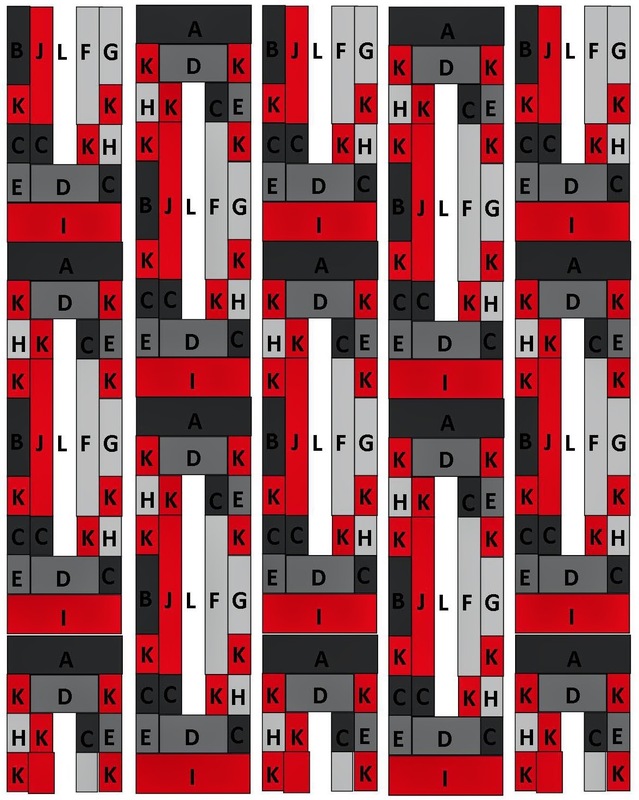 Please note: My finished quilt is shown upside down from this diagram with the smaller cut on top. Step 6: Layer top with batting and backing. Baste and quilt as desired. Step 7: Cut binding fabric into 2.25″ strips. 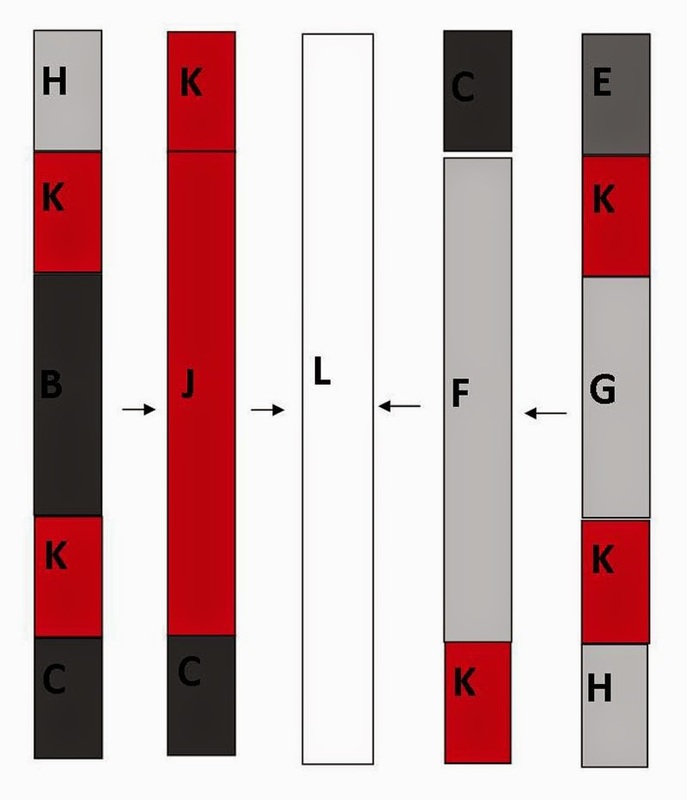 Join on the diagonal to create double fold binding. Attach to top of quilt. Hand sew to the back of quilt. Here’s the back of mine. I had a fat quarter stack and extra solid. I cut strips of various colors and in various widths. I started in the center and then started adding strips in a spiral and then finished off with some wide solid. 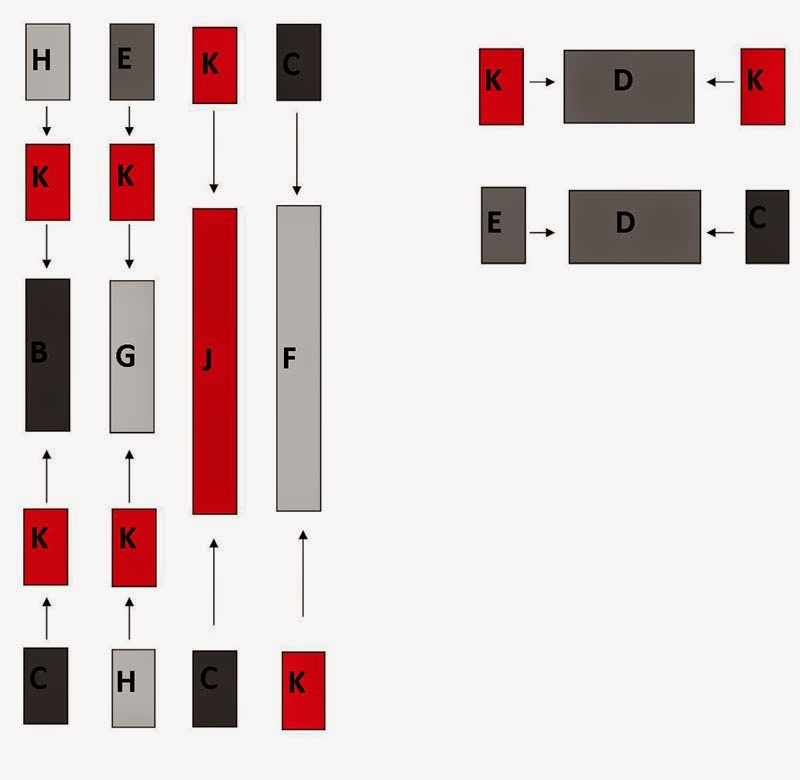 Here is Sandbox using Mixed Bag by Studio M. I really love this for a child. I think it is so cheerful and fun! And how about the upcoming Social Club by Eric & Julie Comstock? Doesn’t this look great? I just might have to make it again! 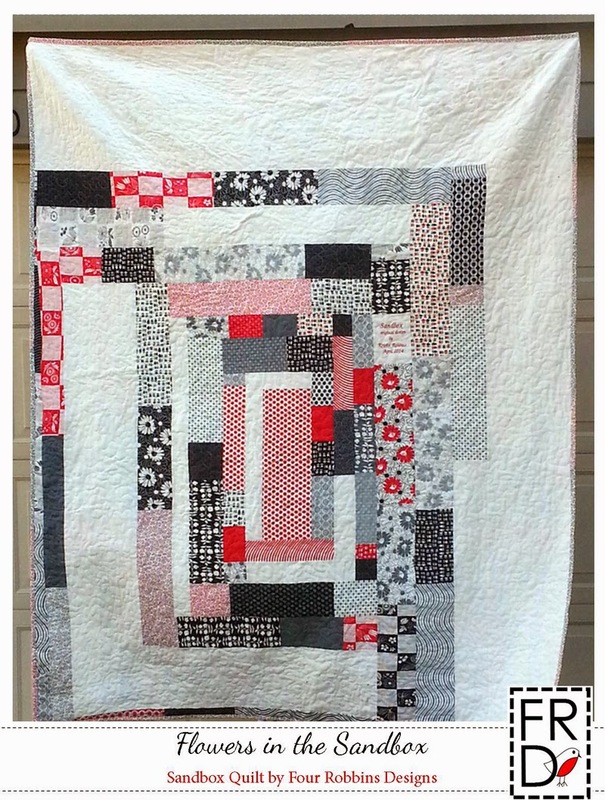 One Sandbox Quilt 50″ x 80″ perfect for snuggling under. Thanks for letting me share my quilt with you! I hope you like it! 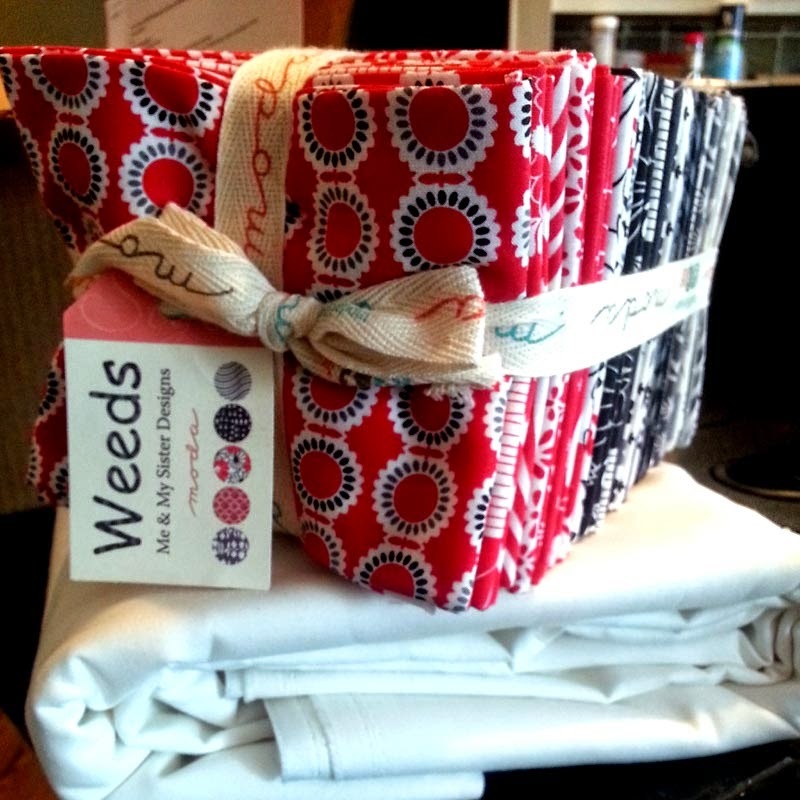 This entry was posted in Easy, Fat Quarter Bundle, Quilt and tagged Me and My Sister, Sew What's Cooking?, Weeds.